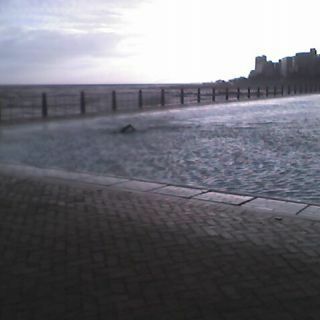 I got to the Pavilion on a rainy windy Sunday morning to find 65 year-old Paul L’Anterme had beaten me to the pool, so snapped a pic with my cell phone camera. The following week Paul, an ex national lifesaving champion from Durban (very warm water), completed his first Robben Island - Blouwberg 7.5km swim, making him one of only three over 60’s to have completed the swim. Looking back at last years’ training (extreme left of graph above), the big load was in June, with consecutive weeks of 32km, 25km & 35km but very little after that. In fact during the 8 weeks training before my actual crossing attempt only 2 weeks included training distance over 20km. While there were contribututory factors to this, in retrospect I cannot help thinking that that exceeds the boundaries of a reasonable taper by an absurd amount. - Rest: Saturday or Sunday. Complete rest - no walking the dog, no horseriding, no climbing Table Mountain. Just eat, read & sleep!